Committed to “supporting the creation, presentation and enjoyment of opera,” OPERA America, founded in 1970, is the national service organization for opera. Upon obtaining a two-story location for their premiere rehearsal and performance space, and faced with the challenge of a strict budget and compressed timeline, they enlisted Auerbach Pollock Friedlander to provide audio-video and theatre consulting for their National Opera Center in New York City. 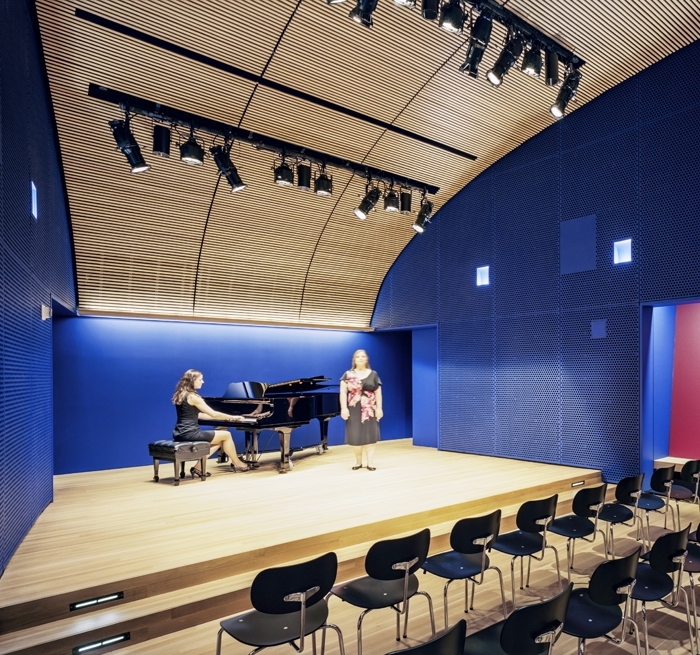 The facility, neatly tucked into a midtown office building, features the Audition Recital Hall, a flexible 72-seat space designed specifically for the operatic voice. 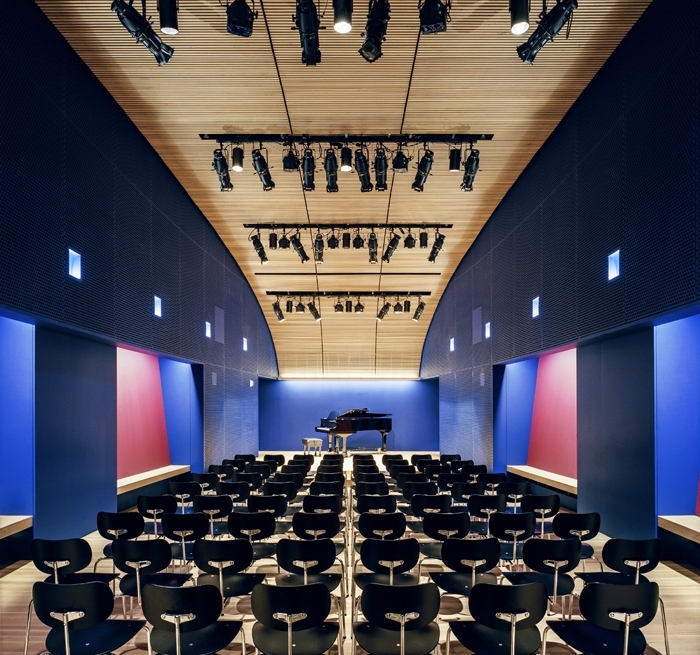 The firm’s design of the Audition Recital Hall features a multichannel surround-sound digital cinema presentation system, plus a recording control room that is at the heart of a complete digital audio and video recording system. Auerbach Pollock Friedlander also provided consulting for the venue’s Rehearsal Hall, including a system of tie lines that allow the space to be used as a recording venue, operable from the Audition Recital Hall’s recording control room.